Running is a fantastic exercise for the whole body and should be enjoyed at all times. Some people like to listen to their favorite music while running. It will also help you to stay focused on running activity rather than listening to other random things happening around you. It is very important to select the best wireless headphones for running. A good set of wireless earphones will make a great difference in your overall running activity, performance, and motivation. We don’t recommend wired headphones because they would not allow you to focus on the core activity be it running, warm-up, exercise etc. You would be busy untangling the wires and adjusting the wires most of the time if you choose wired headphones. Thanks to the advancements in technology, runners can now find a range of wireless headphones and earbuds across a wide variety of brands and price range. Basically, we followed the below-mentioned criteria to select the best headphones for runners. The headphones should not fall from your ears while you are running. The headphones should have a good battery back-up and should not take a lot of time to charge again. They should be affordable for an average runner. Our list has both expensive (but superb) headphones and affordable headphones, therefore, you can pick the best headphone according to your budget. Note: While there is a difference between wireless earphones and wireless headphones, a lot of companies nowadays use these terms interchangeably. In this article, I have covered both – wireless earphones and headphones. In case you’re in a hurry, here are my top three recommendations for the best wireless bluetooth headphones in India that you can use in gym or while running. Still confused about which wireless bluetooth headphones is best for you? 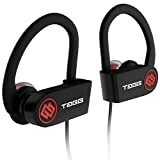 Let me help by providing detailed reviews on the best wiBluetoothuetooth headphones that I found in the market (and the ones you can buy online). These reviews will definitely help you gain awareness and understanding of the best features, pros, and cons of each wireless Bluetooth headphone. Below is the table that shows all the wireless bluetooth headphones covered in this review. Now let’s have a look at the detailed reviews of each of the wireless Bluetooth headphone covered in this article. If you’re looking for a Bluetooth headset with rich sound quality and good battery life, look no further than these amazingly designed TAGG Inferno Bluetooth headsets! One of the highlights of TAGG Inferno is the noise cancellation. It will eliminate the white noise and deliver a clean audio experience even in noisy occasions, offering hours of pure enjoyment. Battery Life – With charging time of 2 hours and playback time of 7 hours, Inferno is a pretty good choice for active runners and gym goers. These over the ear headphones fit snugly in your ear with the bands fitting comfortably over the ears as well. 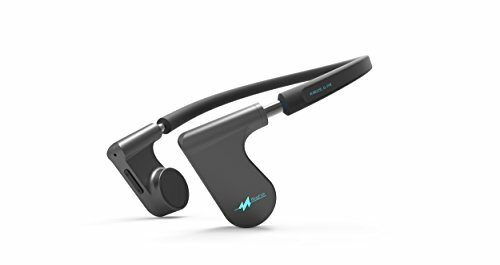 Brilliant Design and Sweatproof – These headsets have a durable design and comfortable earbuds that ensures the earphones always stays in place while running, jogging or working out. Invisible nano-coating technology protects earbuds against sweat during the workout. 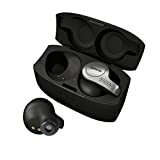 Sound Quality – The sound quality and clarity of these headphones are great. You won’t get much heavy bass but overall you will get a decent sound quality while you are on your workout and runs. You will not get a better sound quality in this price range that’s for sure. The Tagg Inferno also comes with an excellent feature that you get an alert every-time the headset is connected and whenever it is disconnected. The carry case that comes with the package is also good quality with a mesh pouch to separate out the USB charging cable and spare earbud covers. At a price point of approximately 2500 Rs. these headphones are absolutely worth every penny of yours. We recommend it strongly as a must buy if you are a regular runner, hustler or a gymaholic. Founded by an Indian entrepreneur Amar Bose, 53 years ago, Bose is now a $3.8 billion company headquartered in the USA. Bose is best known for its home audio systems and speakers, noise-canceling headphones, professional audio systems, and automobile sound systems. 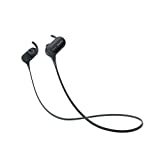 Bose provides superior quality sound in all their sound systems be it headphones, audio systems or car sound systems. 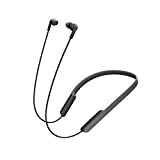 Mind you their prices are above average than other brands in the sound market like Sony, Skullcandy, Jabra, or others. Since we are looking for the best wireless Bluetooth running headphones we must say that Bose Sound sport absolutely fits the bill. Bose uses a volume-optimized EQ technology to maintain a consistent, sonically balanced performance for your ears. The sound stays true to your music at any volume, so you can drown out your noisy commute. The headphones are sweat and weather-resistant and the most critical part is that they do not fall over when you are running or during your workouts in Gym. Battery lasts approximately 6 hours on full charging. The inbuilt mic lets you answer calls seamlessly without reaching out to your mobile handset. It has a small inbuilt remote that will let you control volume, change tracks, attend calls and initiate voice commands. Also, note that these earphones are completely sweat-free and waterproof. The connected wires are made up of such a good synthetic material that they never get tangled. Considering these are really high-quality earphones they are priced fairly in the market but a little expensive for the average Indian consumer. SoundPeats has recently launched this product in India which is an upgrade from SoundPeats QY7. The SoundPeats QY7 have been selling in India like hot cakes and one of the bestselling sports earphones. The company claims that they have sold more than 1 million pieces on Amazon itself. The great thing about Soundpeats is it has a great bass and noise cancellation bundled together to give a fantastic experience to your ears. Battery Life – The Soundpeats gives you a playback time of approximately 8 hours. It will take you 1-2 hours to completely charge it before its ready for use again. Design – Although the overall design of the New Soundpeats is similar to Soundpeats QY7 there are some small changes in color and the new magnetic feature. The difference between the old and the new version is the magnetic element that has been added to SoundPeats QY7 earlier model. The newer version of SoundPeats has an additional Magnetic element that helps the runner to attach them together when not in use so that the earphones does not get dropped or lost anywhere. There have been very complaints about the Mic that its range is quite less and you have to bring the mic close to your mouth when you speak. 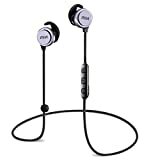 Priced at approximately 4600 and more than 400 reviews on Amazon the SoundPeats Magnetic earphones provide great value for money. Sony is famous for its extra bass sound systems and this one is no less than any of the other products in the market. These pair of headphones gets connected easily to your phones and gives you an awesome sound quality. These headphones are probably the best headphones with bass available in the Indian market. Worn behind the neck, this Bluetooth wireless headset is perfectly balanced, so you hardly know it’s there. You can enjoy high-quality audio and clear, natural-sounding voices on both ends of the call. You can pair it with your smartphone instantly when you make a One-touch connection via NFC. The only improvement we noticed is that it gets disconnected once you switch from one music application to another, you have to connect again. Sometimes you may experience problems while speaking on the microphone and you really have to hold the microphone close to your mouth so that the other person can hear you clearly. Sony claims that the battery life is 9 hours however we found it to be between 5-6 hours. Priced at approximately Rs. 5,500 these headphones are a little expensive but we all know Sony for its quality products. Mivi is an Indian company that sells headphones, power banks, charging cables and other electronic stuff. 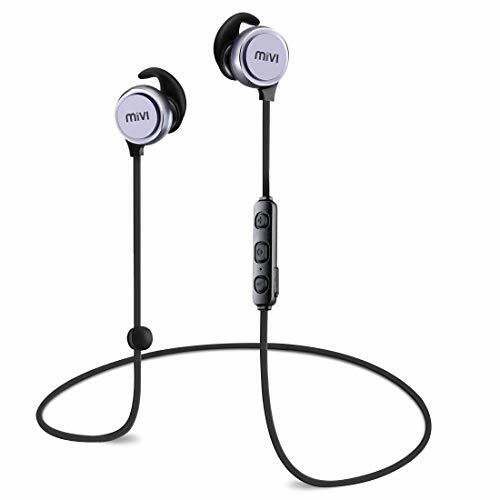 These earphones by Mivi are specially designed for sports, running, gaming and push you further and handle tough training. The earphones lock around your neck when not in use for ease of handling. Made of a rugged, metallic exterior body made from premium materials the Mivi Thunder headphones have a magnetic lock that helps to keep the earphones in place preventing them from falling when not in use. The battery life for these headphones is up to 7 hours and it comes with three sets of earbuds. These brilliant headphones are definitely worth getting your hands on and at the price point of fewer than 3000 Rs. they are definitely affordable for you. A lot of people have asked me the difference between the Mivi Thunder Beats and the Tag Inferno and which one is better. The reason Mivi Thunder Beats is not our top recommendation is that it’s not a noise cancellation earphone (while Tagg Inferno is). Also, I find Tagg inferno design better than that of Mivi Thunder beats, which allows it to remain in place even when there is a lot of movement (during running or gym). Since the price of both is almost the same, Tagg Inferno scores a little better that Mivi Thunder in my opinion. In all other areas, I find both these wireless earphones to be similar. Sony’s new MDR-XB50BS Extra Bass Sports Wireless in-ear headphones are worth considering for your Runs and gym workouts: Not only is it relatively inexpensive at around Rs. 4300 online but its also very important to tell you that it fits really well and the sound quality is quite good, especially if you listen to bass-heavy music. 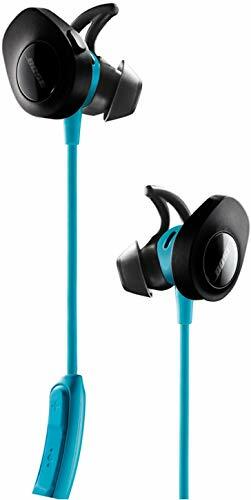 These headphones are fairly lightweight and will fit you better than the Powerbeats3, though the Powerbeats3′ ear hooks are beneficial in keeping the earphones on your ears. The Sony MDR-XB50BS comes with few different sizes of fins and ear tips, and we were able to get a good tight seal with the large size of both, and that seal was crucial for maximizing bass performance. These headsets are really noise-isolating which means you will not be able to hear traffic or your friends talking if you are listening to music at the moderate volume level. Overall a fantastic deal to get your hands on this another brilliant product from Sony if it fits within your budget. Jabra is more than 30 years old Denmark based company that manufactures and markets wireless and corded headsets for mobile phone users, contact centers and office-based users. 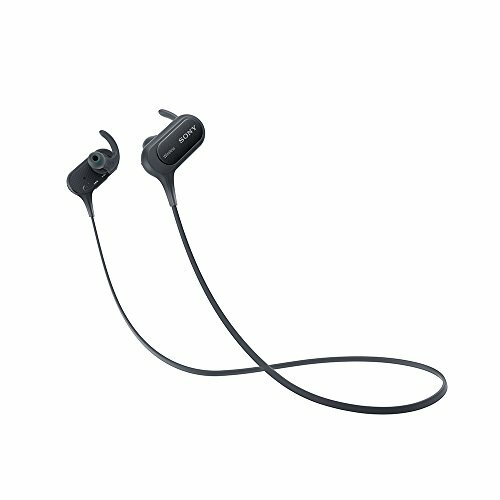 The Jabra Elite earphones are an excellent pair of true wireless earphones for Runners. The sound quality of these earphones is superb, a must have for Bass lovers. The Bass it provides you is there but maybe not what others in the same league as Bose, Beats, and Skullcandy can give you. Thanks to the 4 sets of color core ear gels and ear wings these earphones were not dropping when we tested them during Running on a treadmill and also doing some weight exercises in the Gym. To make sure that the headphones do not fall out during a workout you need to first put on the earplugs on according to your size, then add the ear wings according to your ear size so that the ends of the wings are completely in and not popping out. The ear may accommodate different sizes on the right and left, therefore, you need to experiment with all ear gels. Once the headphones fit and seal tight the set up is complete. If you are looking for running headphones within a range of 5-6K Rs. then your search ends here. If your budget is a little higher then we recommend you look at Beats Powerbeats 3 or Bose Soundsport. There are hundreds of headphones on the market and most of them work the same. You can safely pick anyone that you like and you might never notice any difference between the two products. However, since over here, we are looking for a headphone that you can use for your running and gym workouts, you will need to be very selective. Clear Sound: First things first – this is the most important requirement for any headphones or earphones. You just need to ensure that you get a good sound output. In other words, the music should be crystal clear and loud enough. Battery Life: The next thing you need to consider is the playback time of headphones. Most of the time you use these headphones when you are working out and then you put them in your gym bag and you forget about it. So the headphones should be able to charge quickly and also must have a good playback time of 6-8 hours. A headphone that can playback music for at least 6 hours should be good enough for you. Secure and Comfortable Fit: A good pair of headphones should fit well into your earplug so that they do not fall out while you are running. This will defeat the purpose of buying headphones if they fall out while you are running or warming up for your runs. Sweat Resistance: Obviously you will sweat when you are running or workout out in Gym. Therefore you need to select a headphone that is not made up of an absorbable material. Go for headphones that are moisture resistant so that you can work anywhere, under any weather without worrying about your headphones. Affordability: Last but not the least you need to have a budget in mind before going online and buying these headphones. You don’t want to end up paying a hell lot more on headphones and compromising on other things that you need as part of the fitness gear. Therefore decide your budget first – check prices of these headphones mentioned above and choose wisely the one suits your budget and requirements. Keep listening to music while Running!